Before the 2015 General Election, a Scotland Office official leaked a story claiming that Nicola Sturgeon had told the French Ambassador, Sylvie Bermann, that she favoured the Conservatives to win. An enquiry was launched into the leak. Alistair Carmichael MP told that enquiry that he had not known of the leak until it appeared in the press. The election happened, and the Right Honourable Liar Carmichael was duly elected as member for Orkney and Shetland. I can call him Liar Carmichael, because Lord Matthews and Lady Paton, presiding in the Electoral Court in Edinburgh, judged that he had told a lie (paragraph 44 of Lady Paton’s judgement). He told a lie, because, as he freely admitted after the had been elected, he had ordered the leak himself. And yet the court judged that his election should stand: that it is acceptable for a politician to lie in order to be elected. 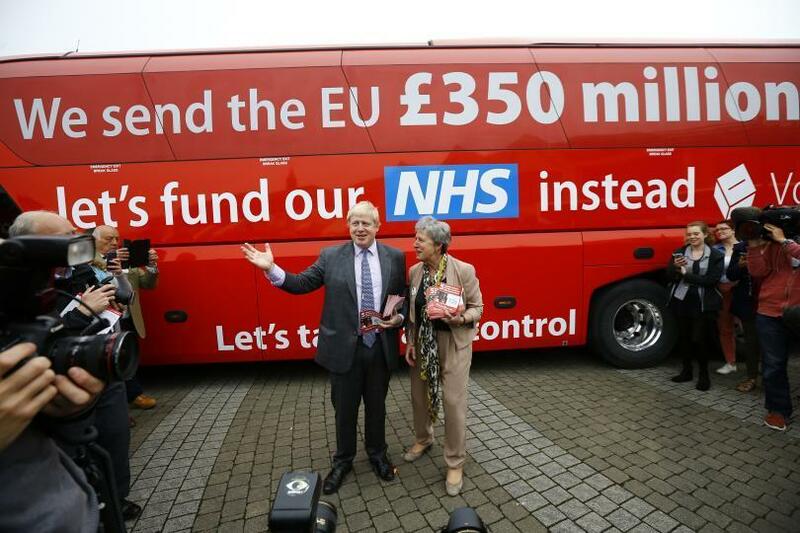 During the 2016 EU referendum campaign, senior politicians of the Conservative party and of UKIP toured the country in a bus emblazoned with the slogan “we send the EU £350 million a week. Let’s fund our NHS instead”. Those associated with this claim, who explicitly endorsed it, include the Right Honourable Boris Johnson PC MP, the Right Honourable Doctor Liam Fox MP, the Right Honourable Priti Patel MP, and the Right Honourable Andrea Leadsom MP. On the day after the referendum vote, those who had ridden on that bus hastily rejected the claim. It wasn’t a promise, said the Right Honourable Chris Grayling MP, it was an ‘aspiration’. But Vote Leave director Dominic Cummings later admitted that they would not have won had they not lied. Let’s be clear about this: there is a problem with fake news. But fake news does not just happen. It is created: and it is created by bad political actors. People who engage in politics in bad faith, who choose to lie to achieve political ends which they could not achieve honestly. Alistair Carmichael’s election in the famously upright constituency of Orkney and Shetland was secured by a lie. The vote to take the UK out of the EU was secured by a lie. But there are no consequences for the liars: no penalties. Alistair Carmichael keeps his seat and his salary. And while the UK is dragged out of the EU, Boris Johnson, Liam Fox, Priti Patel, Andrea Leadsom and Chris Grayling all sit at the cabinet table. None of these people has been banned from public office; none, in fact, has even chosen to resign it. None has been fined. None has been imprisoned. Indeed, in an extraordinary inversion of common sense, indeed, each of these people, who have chosen to use mendacity to secure factional political ends where honesty would not have served, are entitled to be known as ‘the Right Honourable’. This is irony forged from the finest ores. A democracy cannot survive under these circumstances. In a country in which it is acceptable to lie to gain office or to influence great decisions of state, the popular vote is meaningless, since it is impossible for the voters to trust their representatives. So, as the House of Commons enquires into fake news, I commend to you the words of Matthew 7:5: first cast out the beam out of thine own eye; and then shalt thou see clearly to cast out the mote out of thy brother’s eye. Perfidious Albion has been around for a very long time and it’s modus operandi has always been lies and deceit. That is how the British establishment conducts itself and as Malcolm Bruce announced before his retirement,it is the norm for MPs to lie,certainly for people in his party. Unfortunately,many voters appear to have become inured to dishonourable conduct and just pick the one whose lies they prefer to hear (in their view). In their mind,TINA rules and the idea of fundamental reform is anathema which allows this sort of behaviour from many of our political representatives to continue. It wasn’t the judiciary who ruled that Carmichael could continue as an MP but the politicians in Westminster who constructed the legislation in the first place. Judges only interpret and enforce the law. A political culture which is based on dubious behaviour will always ensure that those who conduct themselves in such a way are protected. I think Bringiton is making a sound point about the selectiveness of some voters – which, of course, they are entitled to be. 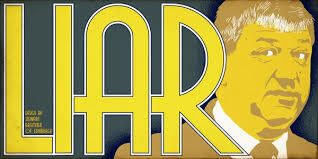 To say that Mr Carmichael was elected ‘on a lie’ is to insult the electorate in Orkney and Shetland. I suspect that many were disgusted by his mendacity, but, for a variety of reasons, not least Mr Carmichael’s community base, a sufficient number decided, on balance, that he deserved their continued support. In elections, most of us seldom agree with every plank in a candidate’s platform; in some cases, we often choose ‘the least worst’. However do not think I am condoning Mr Carmichael. Like Bringiton I think he should have been disqualified. The problem does indeed lie with legislatures and not judges who are interpreting the law as it stands, and, there might not be any law covering a specific matter. There is a significant problem in the mistrust many of us have for politicians. Most – and it is only ‘most’ – politicians, in my experience, are not wilfully dishonest. Some are, and we saw a number of egregious examples during both recent referenda. The trope of ‘dishonest politicians’ is propagated and amplified by much of the media, particularly some of those sections run by very wealthy individuals or conglomerates. And also by media whose senior staff have a vested interest in the status quo remaining. There are honest and principled journalists right across the political spectrum. There are principled people in senior managerial levels of businesses. President Trump is attacking the media because they are doing the job of calling power to account. We are not going to have a ‘fresh start’ because we have to start from where we are. But we can start with setting rules of conduct for candidates and those of them elected, so that, if there have been provable lies then sanctions, including disqualification, will follow. We need to ensure that the Leveson recommendations are implemented with regard to the media – and many of the journalists, who are shouting about dishonest politicians and the need for transparency are the same people who are saying, “Ah, but, the media are different. We need a free press. We need our journalism to be unconstrained, even if some of us tell ‘porkies’. And, some of these journalists are in the YES camp. It is bad for us, as people, if trust is not our default position. It is not easy and often we are disappointed, but being trusting does not mean being gullible or feeling guilty, when we don’t go along with a proposal because, we just have a feeling that ‘there is something shady, which we can’t put our fingers on’. So, in that context, I think it is best to adopt the philosophers’ ‘principle of charity’ and assume that the position being put forward is accurate, but, of course, we must then examine it to see if it stands up. Dismissing such proposals can still be done courteously. Fake News: “….. making false accusations and spreading vicious rumours” (Isaiah 58: 9). A far more significant point though that has never been resolved, than that Carmichael lied about leaking the document, is WHO wrote the document in the first place. Because the document itself was false. So who faked that? Who decided to fake it? He was never asked if he or his office ordered the leak. Had he been asked this simple but les deferential question he would have been given less room to evade. Technically this is of significance. Ex.1 Q) Did you leak? A) No = a lie but not one in wich he held himself to a higher standerd. Ex2 Q) Did you leak? A) No I would never do such a thing. = guilty. My point is that the political ecosystem includes many components, journalism is part of this. The Carmichael case highlights it’s importance to our legal resource. We require Political journalists to be explicitly critical of those whom they question. But any deference to the office or position of their subject is a potential critical failure to our legal resource. The journalist chose to build a timeline in his question and not probe the moral character of his subject. The case was 2/3 won by the evidence presented to the lords but let down by a lack of poiniant critical probing journalism. The £350 million campaign is held to have been effective (it is the gross amount of money sent as membership, about half comes back in one form or another, but some with strings attached – e.g. spending on farming). Whether Gove and Boris would have been able to deliver increased spending on the NHS is an unknown – given their collapse after crossing the finish line. But then the winners and losers of these big campaigns are frozen in time – Farage and Cameron, Darling and Salmond – as politics as usual continues and the followers become the leaders – May, Sturgeon etc. Lying does seem to be endemic, but I wonder why you have not mentioned the SNP lies told during the referendum; like “once in a generation opportunity” from Alex Salmond and now after 2 years he is arguing for another referendum. You need to be fair on these points and stop finger pointing , accusing and blaming everything on the No supporters while ignoring SNP and other Nationalist errors lies and cons. I am still looking for the Scottish Governments Fiscal Plan for building the Scottish Economy and getting rid of the Deficit , and if we get independence how will the 10% of UK Debt be covered what currency etc ….. , is there one around ? I am still waiting for ”the most powerful devolved parliament in the world ” after being promised this by a gaggle of unionist liars / politicians . These where the related powers, to your statement, the SG has the tax control which of the others are they missing. -responsible for a number of benefits, including those for disabled people and carers. -The Government’s Universal Credit programme will remain a reserved matter but the Scottish government will have “certain flexibilities”. Of course like the brexit lies exposed minutes afterwards , the lies of the vow have also been exposed. Thus the original statement of Salmond , which was based on a truth , the brexit lies , and that of the vow , then one has to also add that whether Salmond lied , or it was based on “no material differences”. To highlight the Express as deliverer of Truth , when it and the likes of the Mail , were so repeating of the lies of both refs is somewhat ironic – and their headlines are proven to be well bullsh1t. History of the express , currently doesn’t subscribe to the PCC , has supported the Tories up to 2015 when they decided to back UKIP. Owned by Richard Desmond , the 48th richest man in the UK. Lets not forget their expose on Dunblane victims in 2009. See rather than answer the questions, just rant a load of rubbish about how evil any organisation you don’t agree with is. If the express was lying at this level then the FM could have sued them for defamation of character, the news wasn’t just in the express btw. Oh well, i suppose a well managed independent Scotland is not going to happen. Did you just quote the Express as an authoritative source? I think that destroys your argument right there. Anyhow, to answer your questions. First of all, there is a fair bit of contention as to whether she said that it was once-in-a-generation, or whether it was Ruth Davidson who said she said it was. Then there is the material change of circumstances. The Scottish electorate was promised that a “No” meant staying in the EU. This is not the case. That on its own is sufficient reason to rerunning the election. 2. The government did reverse some public funding cuts, but of course, the SG does not have fiscal autonomy and many areas are reserved to WM. Then coming to the question of the alleged £15 bn deficit. Just remember that much of that is taking place in Westminster. It is WM that is running the deficit on Scotland’s behalf, and spending the money on things Scotland would not choose. E.g. considerable resources could be saved by not wasting it on Trident. No one ever speaks of the UK’s deficit. Don’t waste your time trying to reason with Peter the Procrastinator. He’ll be back tomorrow, with the same pish, on a different article. You won’t get answers to these questions. In my constituency we have a MP accused of theft from “charitable” organisations she set up and a MSP who thinks IRA murderers are freedom fighters. The constituency is in uproar but Sturgeon refuses to condemn them. Pot kettle and black comes to mind. The Natsies don’t like questions! I was a supporter of independence, i thought a well run small independent Scotland could be a real success, but I have completely lost faith in it, for the reasons you state. The Nationalists are unwilling to discuss sensibly, they resort to insulting rather than answering. SNP have dropped 4 in Lanarkshire for the council elections – and are going over the list with a fine tooth comb for MAY for sizing up parachutes. Lanarkshire , shite under Labour , Shite under SNP – the most wasteful and corrupt councils historically. So they bloody should be doing a cull , theres about 30 percent that need cleared out – and a much higher number in Slab top down… and well the Tories , dont expect any because they by definition are liars and robbers. But in all fairness , despite the guy being an arse – regarding the freedom fighter and terrorist analogy , I can only say one thing MANDELA. Two if you include the Mujahadeem , now reversed into isis , daesh , or whatever they are to be called this week.Three if you include American militia. You see its all about who is in power and thus where the definition lies for each. Sorry C you make some good points but the guy has lost the constituency. Why won’t Sturgeon condemn them? This is supposedly the poorest most needy constituency in Scotland and deserves to be better served! I get your point DT , really I am 100 percent behind you on the SNP – I am far from a fan , but that doesn’t mean I am anti indy – yet. My memory is long enough to remember those that have betrayed everyone in Scotland , and worse still those that do , and have done so – while offering themselves as the workers party or saviors from Thatcher…. then continuing the project. You can hardly hate a leopard for its Red White and Blue spots – so with Scottish Tories you expect them to destroy Scotland for the wealthy like them , it has been their mandate , we are but subjects and tenants regardless of NuTory or Old. McGarry , or this new clown(or old clown giving his faux pas history) , the others like the millionaire property empire queen , or any others with the whip removed , inc those In Lanarkshire – Well it all goes to paint a less than rosy picture of internal conflict. And lets remember here the lines in the party handbook , “no condemnation of party . policy , or members” , or the unwritten ones of protection for the inner parachutist circle. So can this be why the SNP are last horse out the gate with their list for the Council Elections?After all they are a party filled with bean counters and lawyers , so why sooooo long?These decisions are made at local level. Is it that after the Success of Mhari Black they are worried that there may be a little more red appearing in the Saltire than they would like? Thus are trying to avoid the red kerds turned yellow “job hunter” influx after seeing that their old team is losing , regardless of whom is in the armband , and before they do a sub and bring on Captain Bailie as the last in the wall? Come the MAY elections it will be a testing Time , not just for SLAB but for the SNP… squeaky bums all round , apart from in the Tory Hq. “They think its all over”……?? A drop in returns , say over 4 percent for the SNP is the very signal I have been warning about , and it may reflect a need to cast off the anchors around their necks at the local level – before its too late and that slip widens to the national one. More so with with preference voting – and how the SLABTORY alliance works better in CE than in HE results – So if that system is workable by those old enemies united , then would there be a motion in Holyrood on the floor to change to the same system? From Property dev politicians , to landlords , or lawyers eroding laws that make them richer , and those ensuring land use against multiple policies via the corrupt LDP and community empowerment lies….. This council election may be a wake up call fro SNP governance at the local level due to the policies at the national one. Even if the devout stubbornly cling to the religion , there still comes a point when even blind can see. So perhaps the SNP have hit the wall – failing to just like SLAB did to see the writing on it. And now trying to block my access to this site ( i have ways around blocks BTW) , well this site and the attitude of the posters says it all really. It is really over the top to block me for asking questions, and answering questions and pointing out the SNP lie after reading articles about how all the other party’s lie. So You Made it Clear that Nationalists Fighting for Scottish Independence suffer from critical head in bucket syndrome and don’t want to ever see reality. i came here as don’t know i now go away as a definite not. An Independent Scotland Would be a Disaster. ”An independent Scotland would be a disaster ” – unlike every other small , independent nation in the world ? Why are we so special ? Why don’t you put your great intellect to finding a solution and back your country in its bid to be like every other nation ? Stand for election in the new Scotland against the , as you see them , the incompetents of the SNP . There will be plenty of room an independent Scotland for free thinkers . The problems are Currently a £15bn deficit (Reported by Scottish Government) 9.5% of GDP , cost of Independence changes to Infrastructure etc will add to this by a couple of £bn ( a full estimate has not been released that I can find ), currently the deficit is covered by barnett payments from the UK. .
Then we get our share of the UK debt handed over to us (https://www.gov.uk/government/uploads/system/uploads/attachment_data/file/270643/uk_debt_and_the_Scotland_independence_referendum.pdf ) , seen estimates of about £9bn. So My issue is there is no plan from the SNP or the Sottish government on how an independent Scotland will pay for this, why are the Scottish Government not getting a plan together, getting jobs here, doing what May is doing (for the UK ) and getting into countries and selling Scotland to them. All that is happening in Scotland is Companies are leaving Scotland (i know 3 that have ) , unemployed is going up and the deficit is increasing. The EU have 3% limit on deficit levels on states joining the EU, so will they take a country with a 9.5% deficit ( and no fiscal plan) , i doubt it, what EU people are saying about Scotland in the EU, is not a commitment from them and they do not make these decisions so it is just anti Brexit proper-gander. I don’t want to be in government and I was a strong independence supporter, but now , questions are not answered , there is no plan and the Government is unwilling to even admit there is a financial problem. Without bale outs from overseas an independent Scotland would be in poverty. Regurgitated bull. Too wee , too poor – just like fake news , you repeat a big enough lie long enough it enters factdom. Deficit for EU membership – busted , without even mentioning the cherry on the cake of a soveriegn state bank – instead of a privately owned central bank. Its a goal – do you think that every member hit the target for entry? EU membership – direct accession as having already met the criteria is now proven , and the deficit rate being where it is , yet Scotland is still in it as part of the UK today – its called carry over. Even the Spanish veto myth is busted for membership , the yoonsphere is frankly scraping at barrels. But for that to be proven without a categorical doubt that even the media cannot bury , then Hollyrood (whom is CURRENTLY prevented while a member of the UK from doing so) can petition the EU parliament to answer that question…. and when it does expect them to say yes. But hey – I am not 100 percent into joining another union , so the Norway model appeals. And where is Norway again , is it too wee , too poor , no. Perhaps then that is as a result of soverignty , retaining ownership of its oil that created a wealth fund for such scenarios , and where only last year did they dip into it for the first time? But then again Norway never had the illusion of a fair union , one that stole its oil , then handed back a pittance from it – only to be portrayed as a nation of parasites. Scotlands deficit – One that is Westminster delivered , controlled by reserved powers. How much is Scotlands share of Trident again? OR Hs2, Lizzies hoose. Every single wealth and economic creation tool for Scotland is not in its hands – so by default where should the blame be addressed to again? Exports – Scottish exports put into the caged column list as UNKNOWN , where oil and gas is removed from EU exports as a result. Exports II – Scottish Exports routed via English ports , subsidizing English jobs , more cost means more taxation , less profits less investment , all instead routed to Westminster as English created – not Scottish as a result which would infer a partial return. This is what is know as hidden and or diverted tarrifs. Exports III – EU , ROTW < Trade deals are a reserved power , so if they are dire – its as a result of Westminster on the tiller. Exports iv – The biased trade deal that Scotland needs a 50m person market more than a 500m one. Where the argument that Scotland exports 4x more , to the UK than it currently does to the EU. Well it works in reverse , where UK exports more into Scotland than it imports – Thus proving that SCOTLAND is the UK;s better market , thus worth protecting. But as we see , no deals for Scotland , god forbid they become a power house , with their own economy – as predicted and prevented with the McCrone report. Exports V – The positioning of Westminster , the media , today is almost a direct repeat of the Act of Union , submit to our rule or be impoverished. Unfortunately while there are many that may take the silver , much more than in 1706 , there is also many more with a vote. This time it includes the masses , not the masters , and has removed the church and lords. Exports VI – The hard border , again another threat , either in the UK as a trade zone for Scotland and one that would affect English imports seeing that they are far higher than Scottish Exports in number. It would perhaps also mean the resurgence of Scottish trade ports as a result – ie investment outwith the South Coast of England – thus an increase in Scottish port jobs. Companies that are leaving Scotland – I agree they are. But this is due to no devolved powers , retreats of subsidy to England and brexit bribes need funding , Brexit itself removing employees and market , and of course indy. Only one of those options leads to improvement , and its indy , with that comes the reserved powers , the power to make new ones , the setting of tax rates and total unadulterated tax receipts without Westminster defining what is and isnt returnable. But must add that many are leaving due to better tax structures elsewhere , something that is again a reserved Westminster power is corporation tax , vat and so on , well unless your Wales. What is also aiding this decline is EU companies returning to the EU due to brexit – ie the removal of free movement and trade . So the argument is counter productive. But lets stay quiet about the banks – whom said the same during brexit and in indy that they would leave , and did anyway. It is strangely quite on that front – well until an indy II is called – then we might well see a third of Londons banking jobs end up in Scotland as a result of the Banking passport. That Scotland underperforms in various economic areas is exactly the argument for independence, not against. All of Scotland’s small neighbours, Denmark, Norway, hey even Ireland and Iceland are far more prosperous. So either it’s something with the Scots (genetically defect or something), or it’s something with the union they’re in. I rather suspect it’s the latter. Mother of Democracy summarises it for me as to why we are Better Together with the most powerful devolved Parliament in the World. Really! Devolution is a poisoned chalice – it replaces the unelected masters with elected governors as their sandbags or blame hounds. It means more noses in the trough , more cost than independence as a result than to field 4 levels of politics instead of one. What is the cost of sending Scottish Politicians to Westminster to be ignored , subsidizing the house of lords , and of council politics , vs the cost of home rule and one level politics? The savings are many millions , the empowerment of the electorate immeasurable. What are the benefits of indy over devolution , well no parasitic drain , no hands tied , no preventative greater partner that steals you oil – and one that reminds you your parliament is a sham , that can be removed in an instant should they wish if you dont submit. This is a partnership , this Union of nations we call the UK , and one where Scotland is the wife with the black eye….. one that should shut up and get back in the kitchen before it gets another is frankly what the Union is promising , threatening. This is UK politics today.